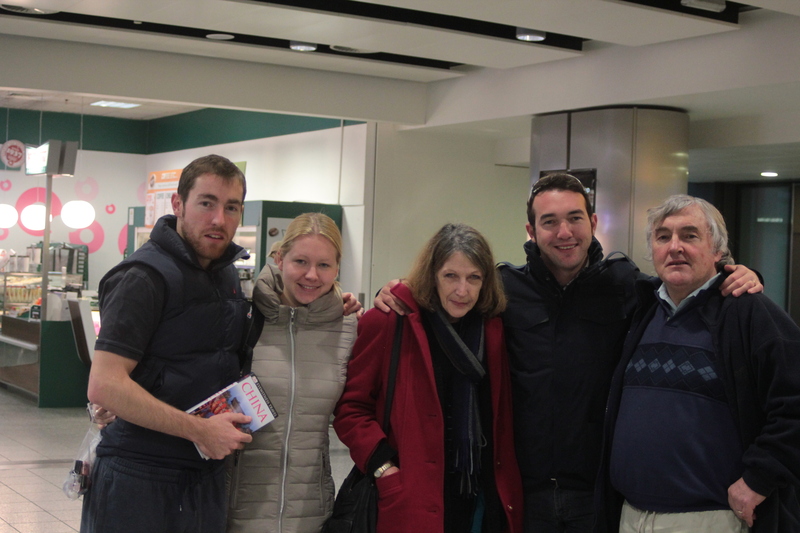 After an emotional send-off from Heathrow we arrived in Hong Kong in the early hours of Sunday. Thank you John, Vikki and Laurie for making the effort to come down and send us away. Our first impression of Hong Kong was very good. 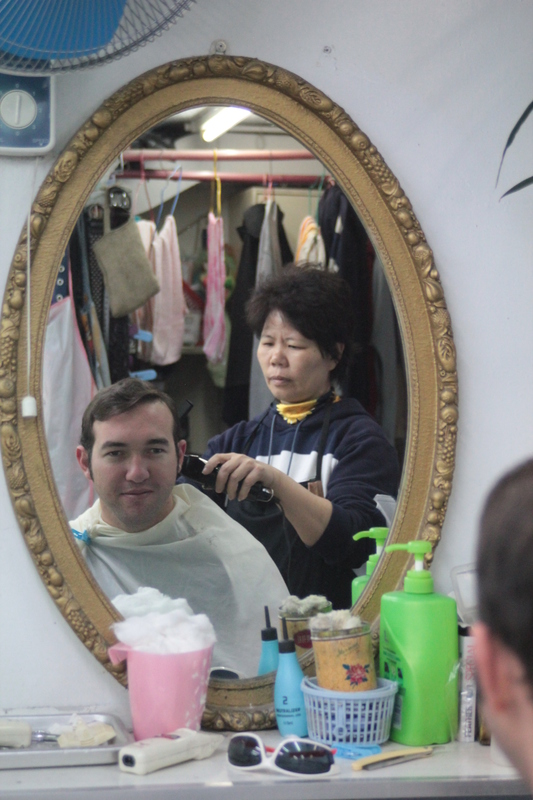 That impression has lasted until our last day in Hong Kong, which is today. Hong Kong is a lot of what I expected – millions of people milling about, high-rise buildings that make your neck hurt after too much staring, lots and lots of wealth and brand names at every corner. However, the countryside is never too far. There are beautiful turquoise water beaches everywhere, you can get away from the big city atmosphere within minutes and enjoy some of the most beautiful scenery. 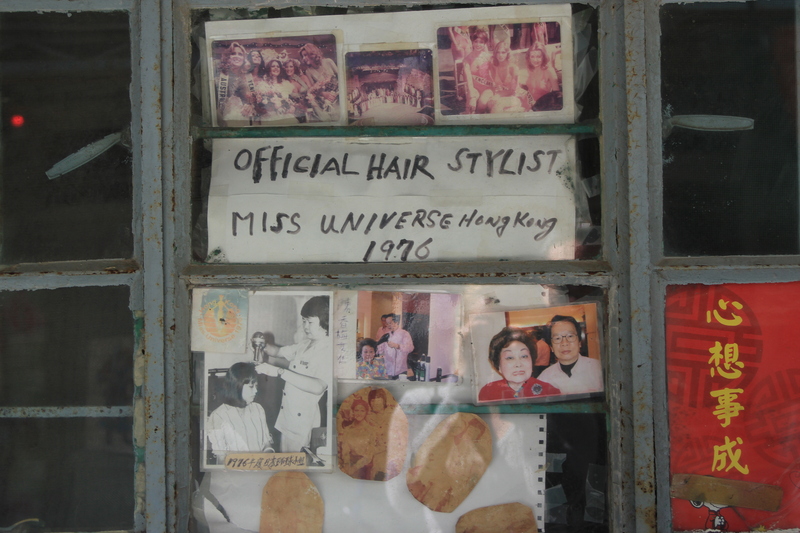 So really, Hong Kong has the best of both worlds. For those who want to get off the beaten track and venture into the little back streets of the city there are a lot of nice surprises. There is amazing food everywhere, pork buns steaming away in little ovens, hundreds of little street restaurants/cafes, street vendors selling everything you might ever need. 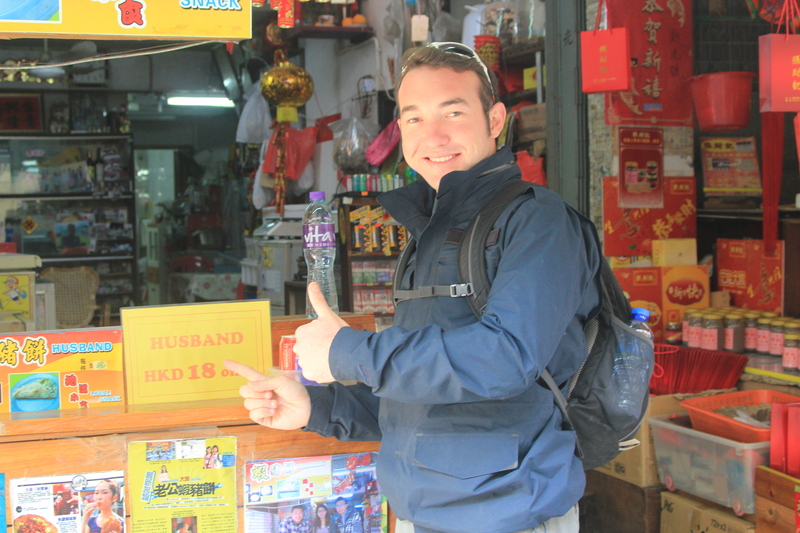 The most interesting food we have found so far was tortoise jelly. It is meant to make you look young and live longer. We did not have any, but we may change our minds once we get old and wrinkly. 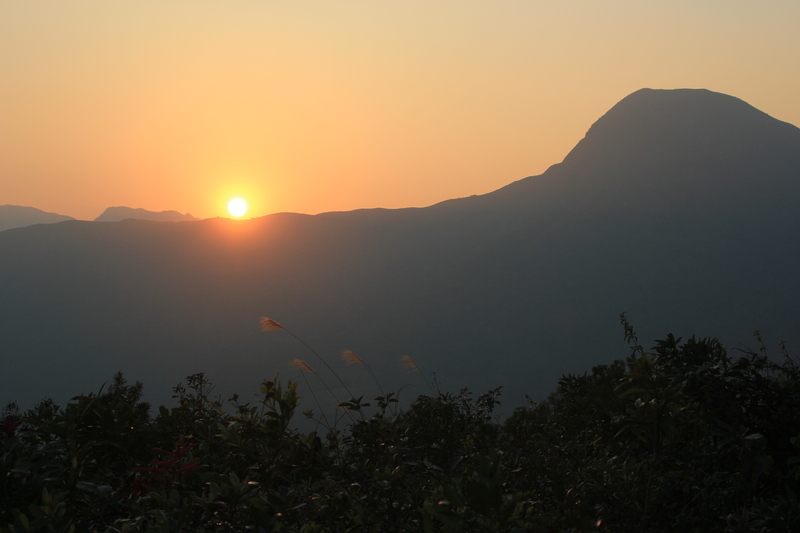 We have been staying with a family friend of the Winters in Sai Kung, which is an area about 40 minutes from central. 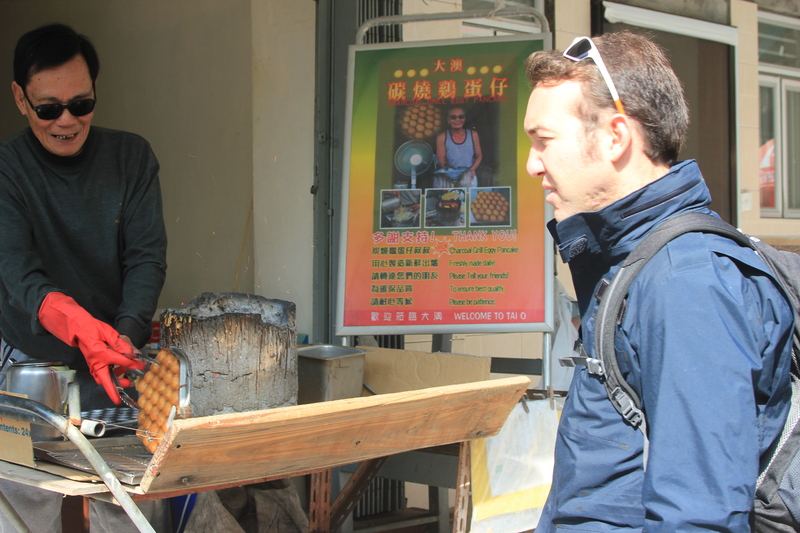 Sai Kung feels like a little village rather than a metropolis that is Hong Kong. There are lots of little fishing boats, so the seafood here is quite phenomenal. Nobody spoke any English, which made the experience even more fun. Our Cantonese stretches to about 4 words unfortunately. Unsurprisingly it’s mostly food related. 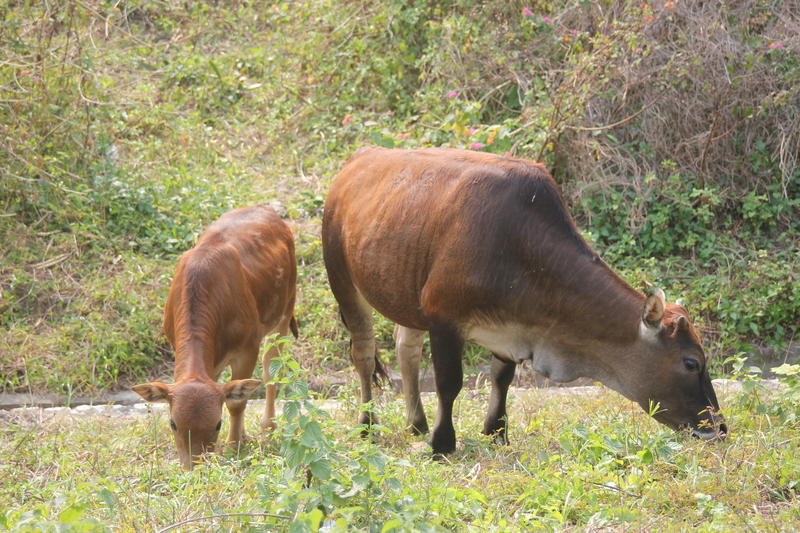 Sai Kung has another interesting feature: there are wild cows here. They roam around in the streets and nobody seems to mind. 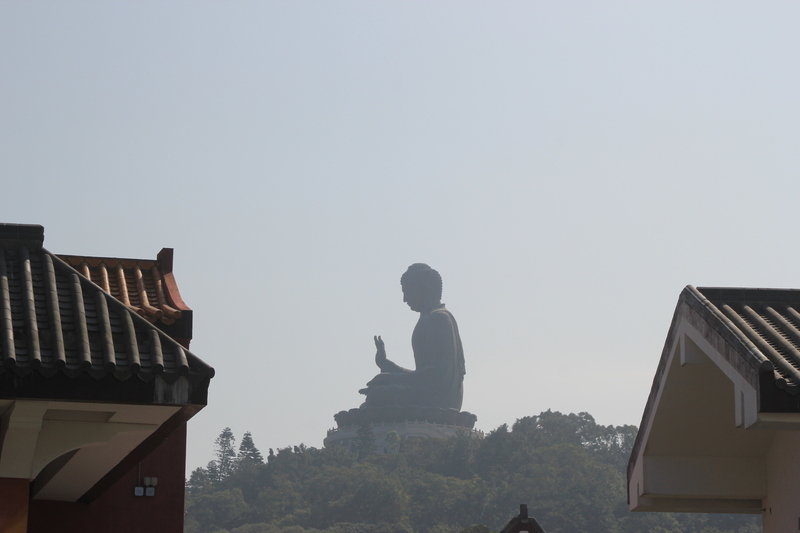 On our first full day in Hong Kong we took the cable car to Lantau to see the monastery and big Buddha there. Cable car journey went from slightly nerve-racking to very enjoyable. The views are just beautiful from up there. We shared our cable car with some Chinese tourists, who insisted on taking photos with us and of us. I think this may become a regular occurrence. 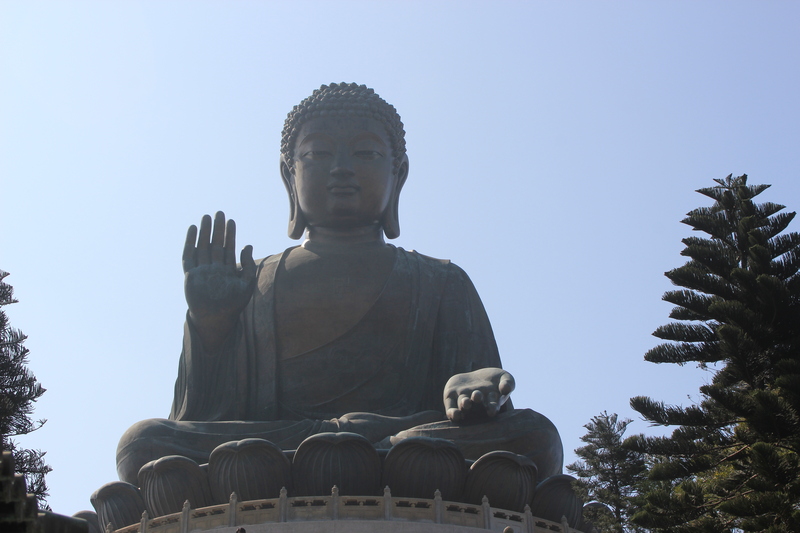 The Buddha was very impressive and I was surprised to see that apart from being a huge tourist attraction it is actually used for spiritual purposes quite a lot. 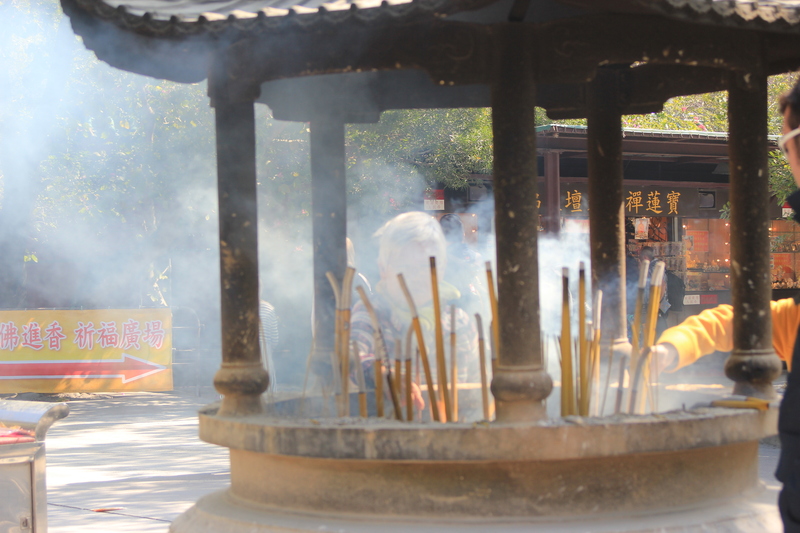 The monastery is also fully functional and we saw quite a few people there lighting incense sticks at the various temples. 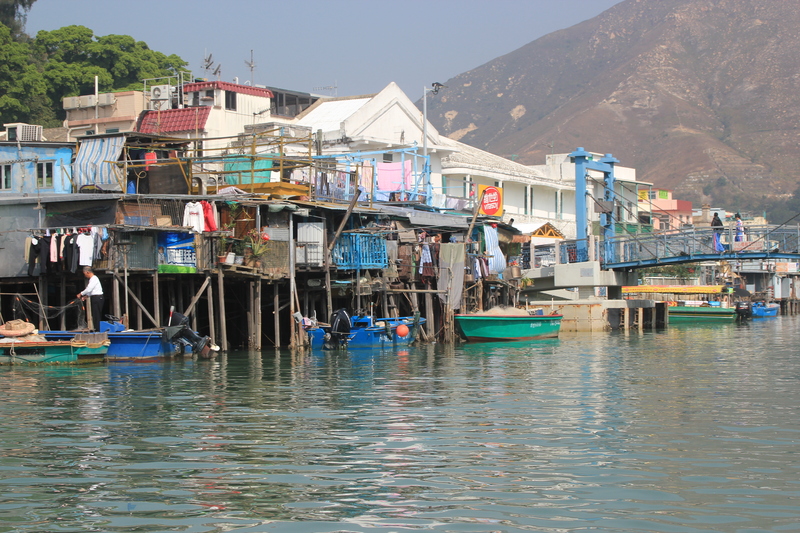 On Lantau island is also a little fishing village called Tai O, which again is a world away from what we experienced in central Hong Kong. The whole village is built on a bay and majority of the people living there are fishermen. The houses are built on stilts and the streets form a little maze with little alleyways and bridges. We also went on a little boat trip to see dolphins, however we saw no dolphins. Village. Back on the Hong Kong island we went up the Peak on the tram which began operating in 1888 and is still there and working. 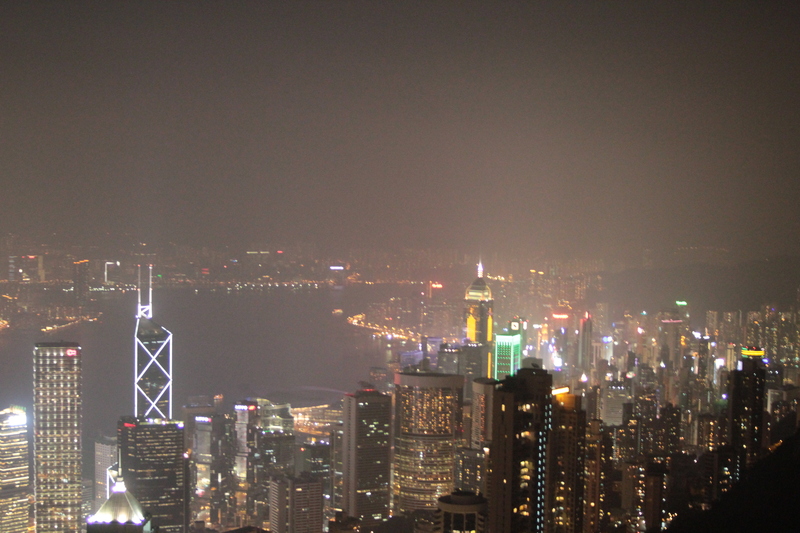 The Peak has breathtaking views across the Hong Kong skyline, so back in the day the governors lived up there. They used to be carried up there, but then they got tired of being carried and decided to build this railway. Properties at the Peak are some of the most expensive in the world and until early 90s Chinese people were not allowed to buy property there. I’m not sure who lives there now, but whoever they are have a lot of money and a mega nice view. 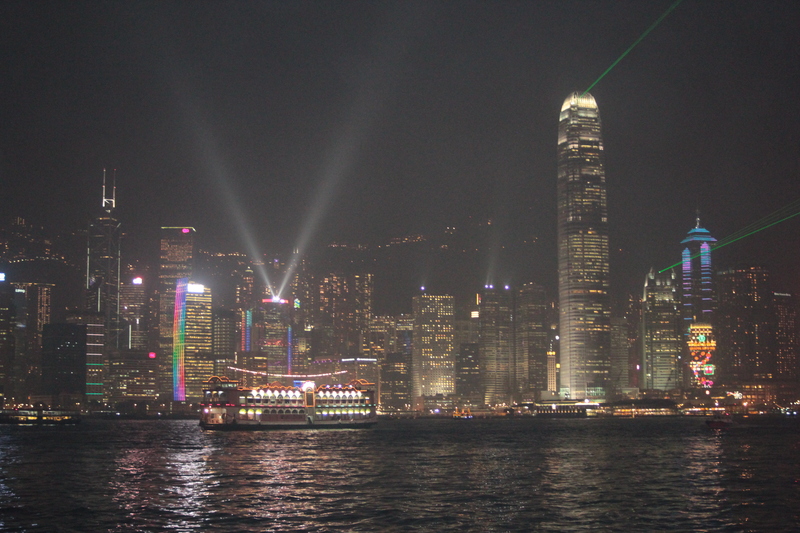 We also visited Kowloon, which is across the bay from Hong Kong island. 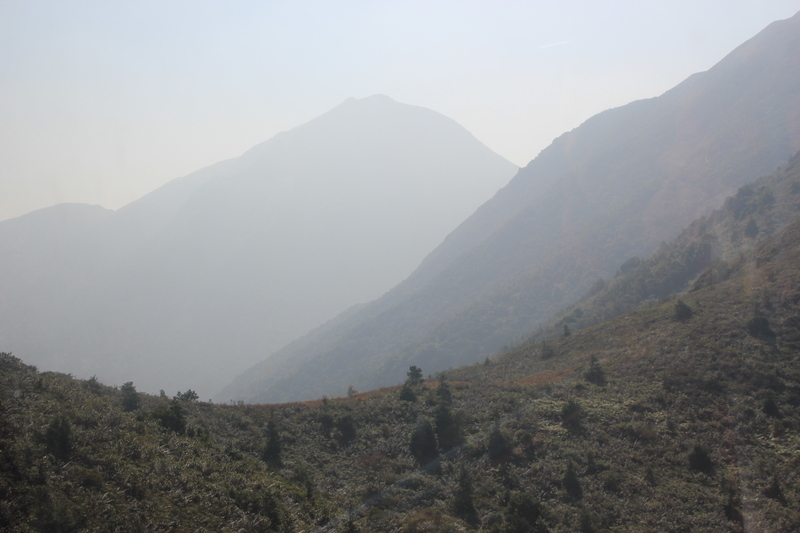 Kowloon was a lot of what I expected from Hong Kong. Lots of lit up signs, no room to walk, shops everywhere and just general organised chaos. I quite liked it to be honest. 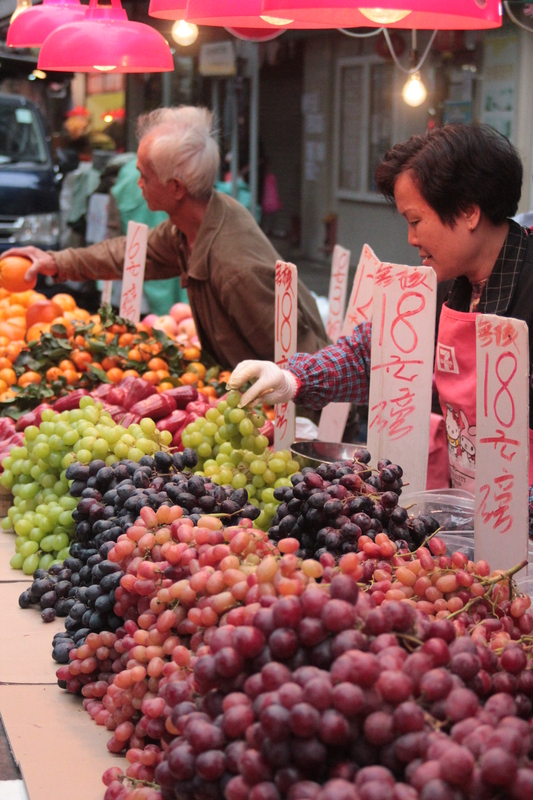 Kowloon has lots of street markets selling food and shoes and bags and clothes. We mostly stayed on the food side, as expected. From Kowloon we saw the famous lights show, which was quite impressive, but not something I would go to see again and again. 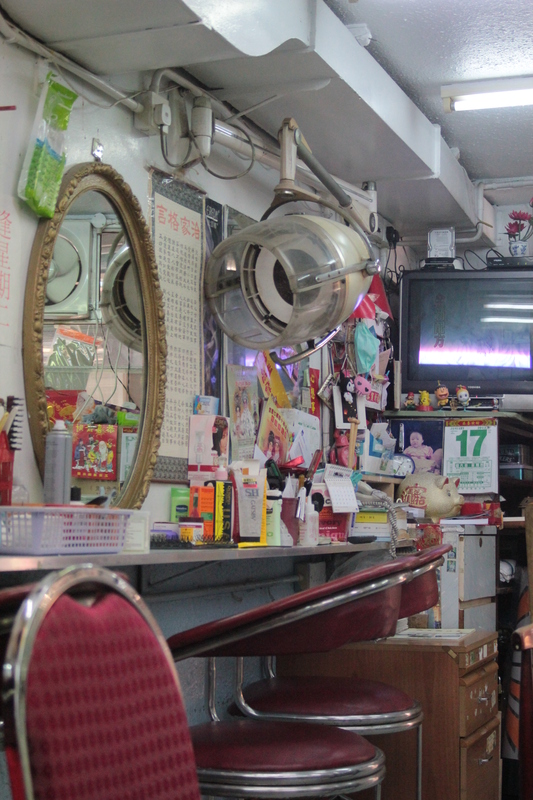 One experience I must tell you about is our Chinese massage, which we had at Kowloon. We had some time to kill and were quite tired, so we thought a nice relaxing massage will be wonderful. Unfortunately we did not realise that Chinese massage is anything but enjoyable if you are not used to it. So we asked for a back, neck and head massage along with a foot massage. The first few minutes were nice, then I heard David making some funny noises and saw him turn bright red. I laughed and told him to man up. Then the same happened to me and the next 25 minutes was pure agony. Those masseuses find the stiffest places and massage the hell out of it. I have bruises to prove it. HOWEVER, after the massage felt just great and any tiredness and pain was gone. 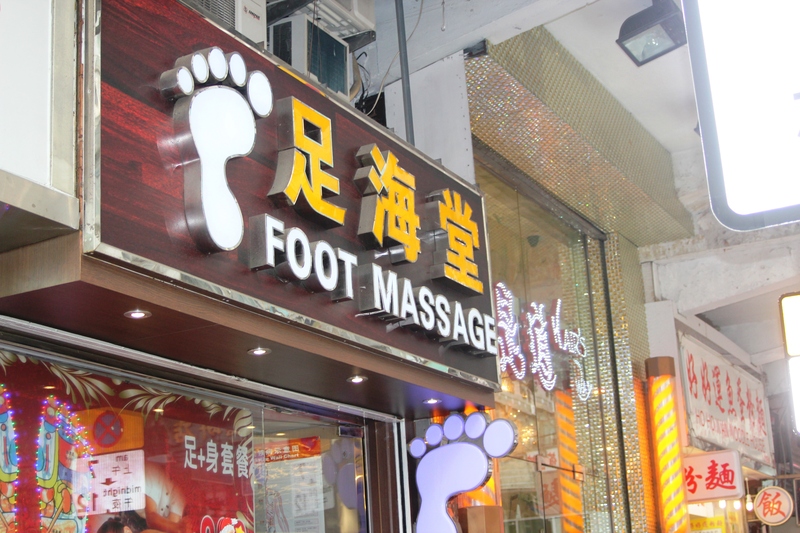 The foot massage was actually a foot and leg massage, which also started out nice and then turned into a very painful experience. But I must say that all that pain was worth it. The feeling afterwards was so nice. There were some older Chinese guys there getting a massage and did not even flinch, so maybe it is just a matter of getting used to it. After the massage was over we rewarded ourselves with some pork dumplings (my idea). The climate has been just perfect for being a tourist. It’s generally low 20s or slightly less. -9 awaits us in Xi’an with snow and frozen rivers. 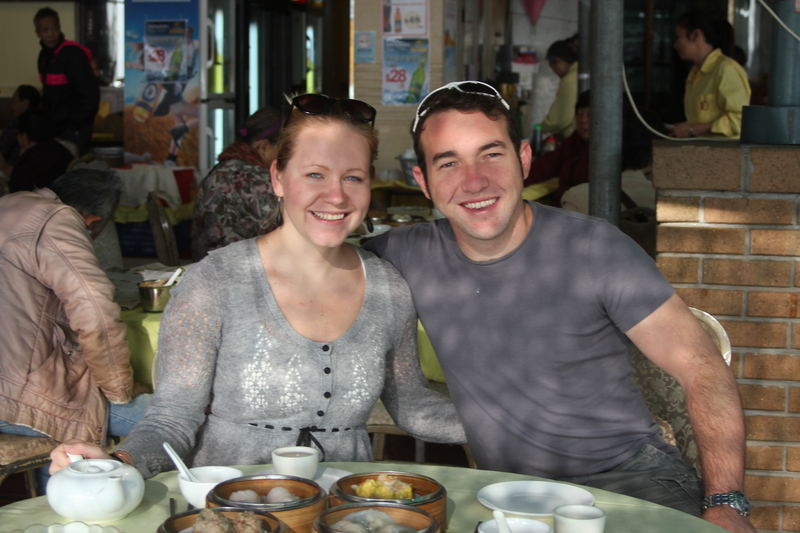 We will definitely come back to Hong Kong in the summer, so we can experience all the beautiful beaches around here. 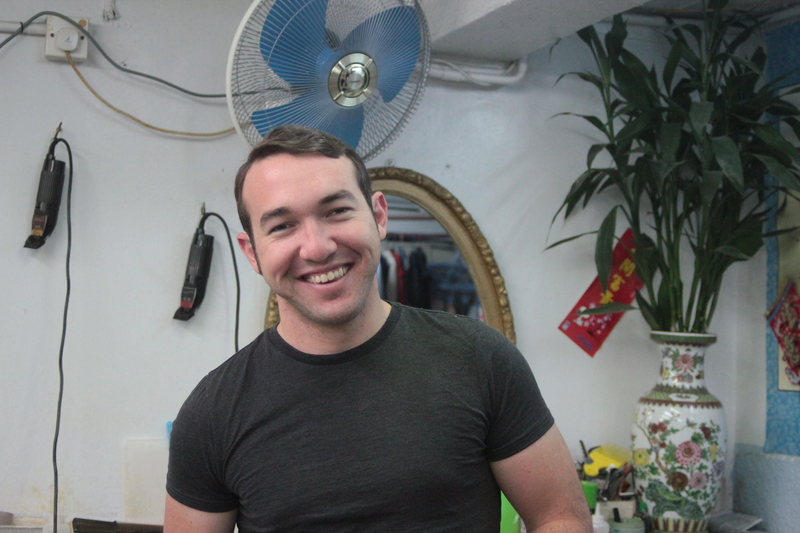 Our flight to Xi’an leaves tomorrow afternoon and as of next week we will be teachers. I don’t know how long it will take to get our Internet connection up and running, but I will update you as soon as I can. PS: On the menu tonight is Korean food. Posted in China, Hong Kong, PlacesBookmark the permalink. Very exciting 🙂 stay safe!